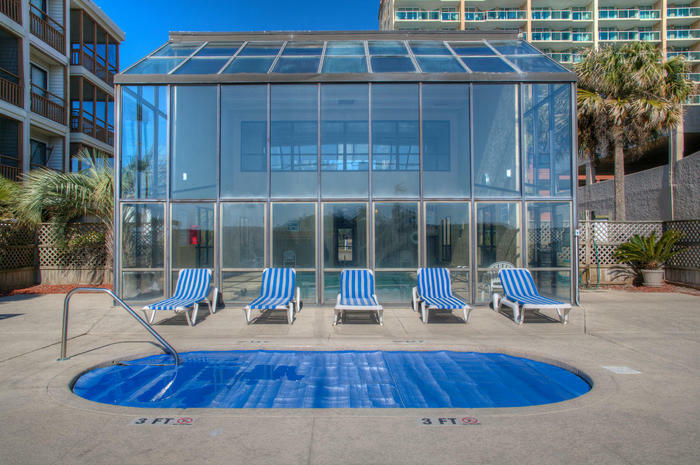 The indoor swimming pool with oceanfront views makes San A Bel condominium rentals stand out. 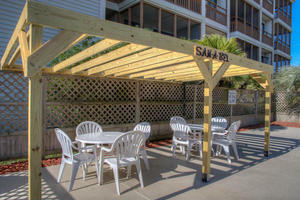 Located in the Crescent Beach section of North Myrtle Beach, San A Bel is an oceanfront vacation condominium complex where all the vacation rentals are oceanfront and all of these North Myrtle Beach vacation rentals feature two bedrooms and two baths. 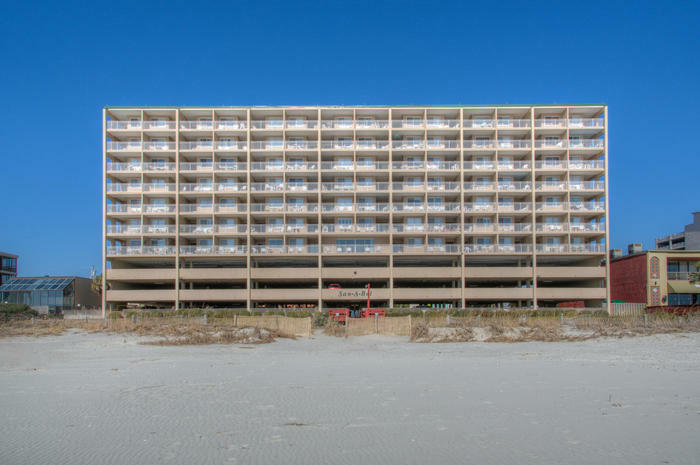 San A Bel oceanfront condo complex is seven stories of oceanfront North Myrtle Beach condominiums constructed atop a multi-level parking garage. 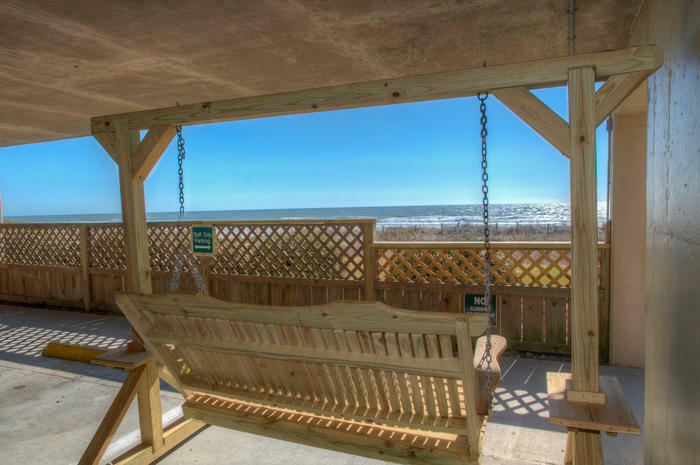 There are views from every condo rental when you vacation at San A Bel on the North Myrtle Beach oceanfront. 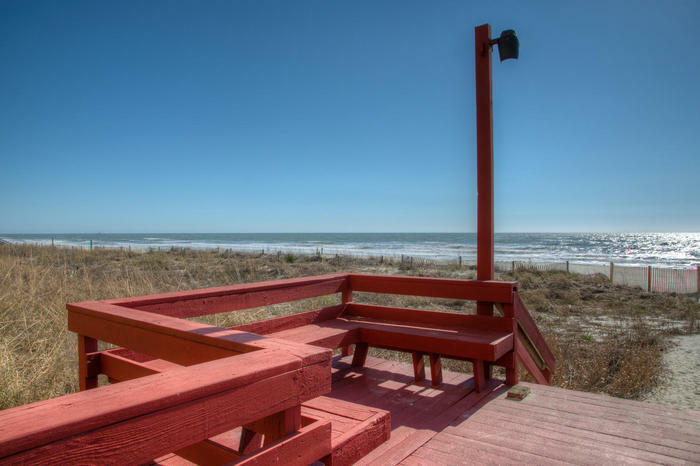 Look out to sea from your well decorated living room or your private oceanfront balcony during your North Myrtle Beach vacation and you might catch a glimpse of a yacht cruising the coast, dolphins swimming through the waves or a magnificent oceanfront sunrise that will leave you in awe. 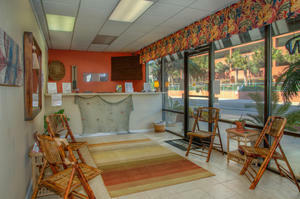 The Atlantic Ocean views are stunning from San A Bel’s oceanfront vacation condominiums. 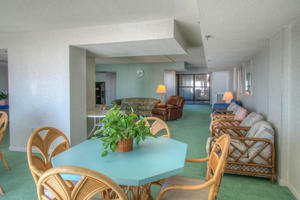 Your family is only steps away from the white sandy beaches when you vacation in a condo at San A Bel. From your oceanfront balcony you can easily see the sandy path that leads to the beach. Beyond the sun deck and oceanfront lawn is the wide beach where crashing waves and sunshine beckon you outdoors. 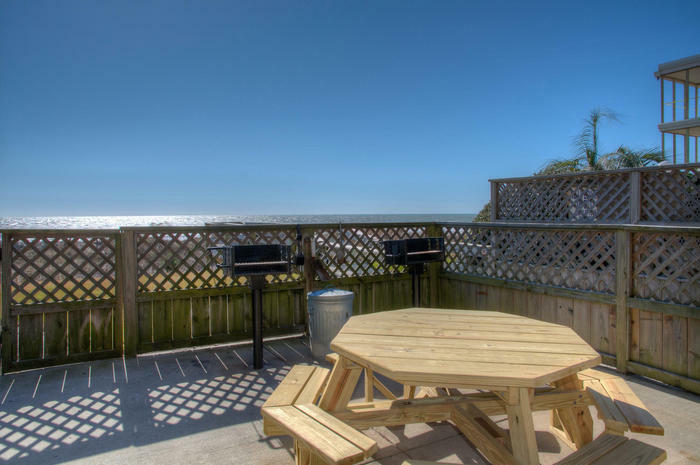 The warm ocean waters make a summertime swim an inviting proposition while the seashell collection that washes ashore begs you to take long walks in search of beautiful treasures. 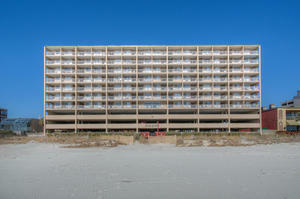 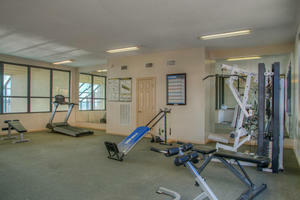 The North Myrtle Beach oceanfront is gorgeous and brimming with family activity. 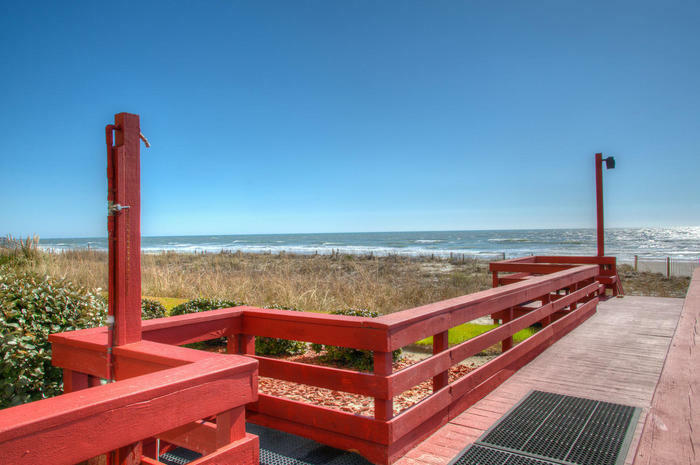 Dip the feet of your littlest ones into the ocean’s waves, while Grandma and Grandpa get some exercise with a midday stroll along the North Myrtle Beach coastline. Every day is glorious when you awaken to the sound of rolling waves and seagulls at the beach! 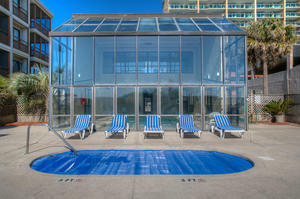 The sparkling blue water of San A Bel’s indoor swimming pool glistens in the sunlight as there is a wall of floor-to-ceiling windows allowing swimmers to see the Atlantic Ocean from the indoor swimming pool. 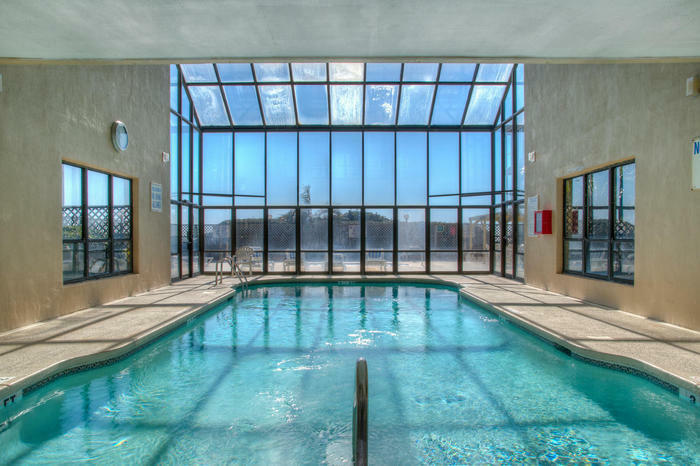 Sunshine streams into the pool area, giving swimmers all the benefits of being outside, while providing the year-round accessibility of a large, inviting swimming pool. 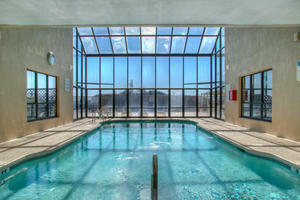 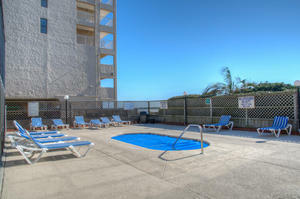 Swim in any weather when you vacation at North Myrtle Beach’s San A Bel. 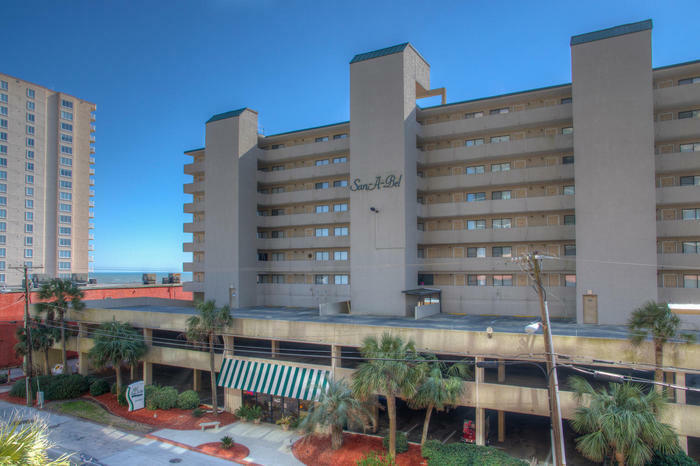 Discover all that Myrtle Beach, South Carolina has to offer when you vacation at San A Bel. 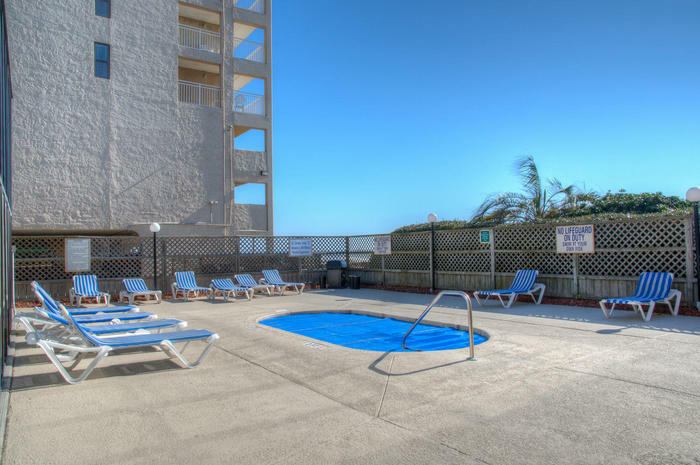 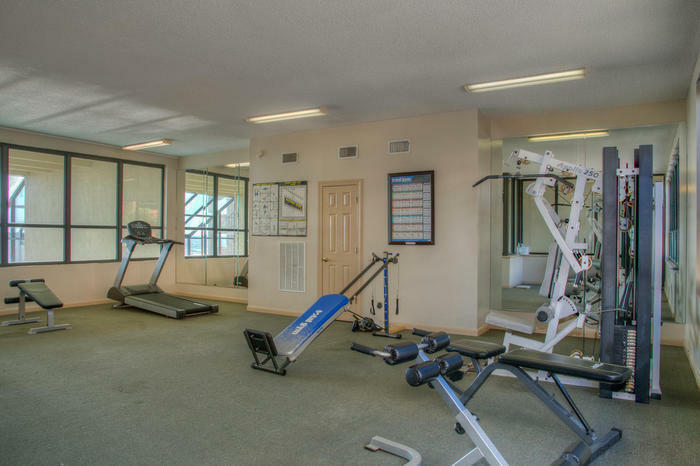 This vacation condo complex is centrally located to all the family-friendly amusements and attractions that make the Myrtle Beach area so popular. 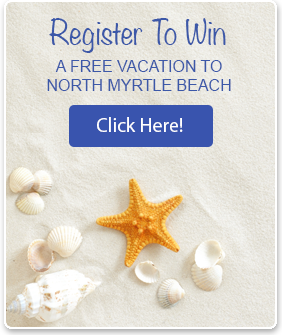 From live entertainment theatres to deep-sea fishing charters, Myrtle Beach is synonymous with vacation because there is so much to see and do here. 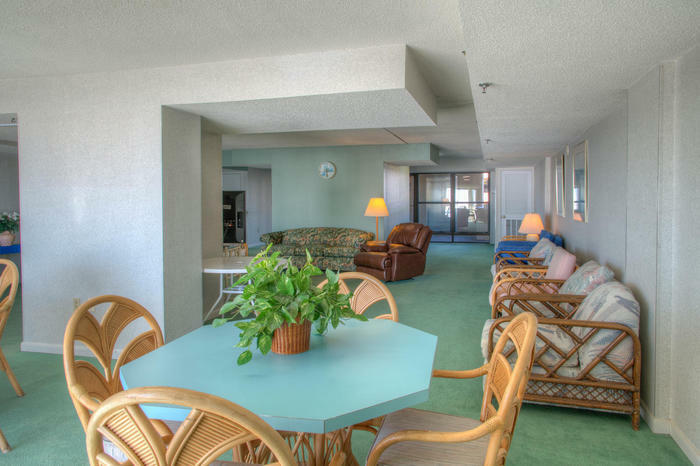 Enjoy a memorable vacation at an affordable price when you reserve a San A Bel condominium for your family’s next beach vacation.